Now available on Amazon. Get a printed version of my everything-keto book, Ketogenic Solutions : Finally Lose the Weight and Truly Feel Great, and the latest, expanded version of my recipe book, Kickin' It in the Kitchen: Ketogenic Style Recipe Book (with 25 NEW recipes!)! This is it. Your complete guide to the ketogenic world. Let me help you through all phases of the process with an easy step-by-step guide, including how to prepare for this new life by going through your kitchen and replacing it with what will become your staples. If you are a beginner, and even if you’ve been around the ketogenic lifestyle for some time now, this will be your go-to for all things ketogenic. Download your copy today for instant access! Delicious recipes for a Ketogenic Lifestyle. No need to bang your head against the kitchen counter, trying to figure out what to make for the entire family. All of my recipes are teen-tested and approved. I don't do "hard" recipes. Anything requiring me to go to specialty stores or spend hours in the kitchen, are not my thing. Let me help take the stress out of meals! Download your copy today and get cookin'! After years of traveling and trying to stay in my keto lane, I’ve come up with some tried and true strategies I use whenever I’m on the road. Traveling doesn’t need to be synonymous with bad eating anymore. Relax and actually enjoy the time spent away from the house without having to worry about the lingering effects (and weight!) after the fun has been had. 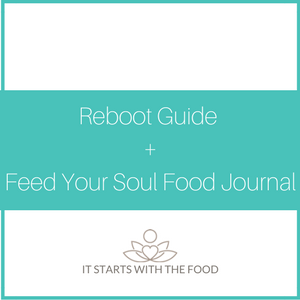 The Reboot Guide was born out of the steps I took to get back to where I was before I went into the holidays. It brought me back to when I first started this lifestyle and the steps I took to get control of my health and weight. Get both ebooks + my travel guide for $24.99! With the Book Bundle, you receive my incredible recipe book, Kickin' It In The Kitchen, as well as my guide to all things keto, Ketogenic Solutions. My Travel Guide: What To Eat When You're On The Road is an extra special supplement to help you stay in your keto lane no matter where you are!